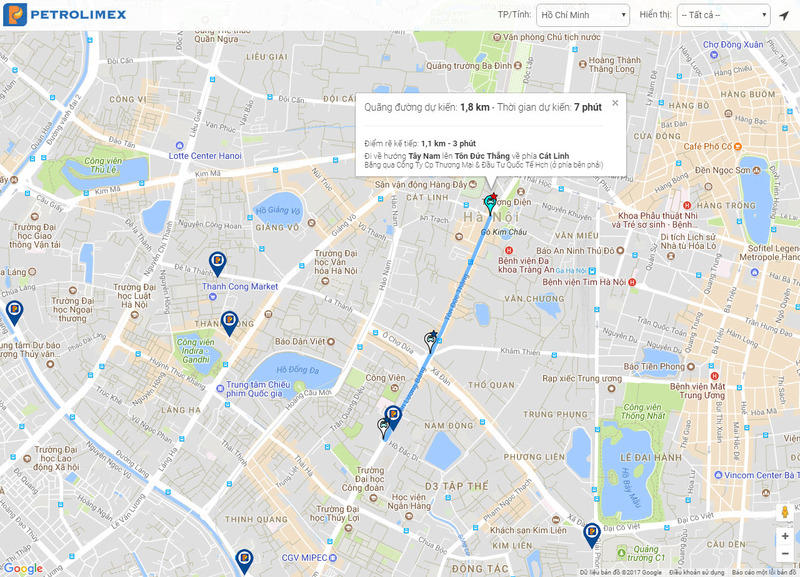 With just one tap, the map will immediately direct you to closest Petrolimex petrol stations and the location from which you are searching for Petrolimex petrol stations is defined as a central location. 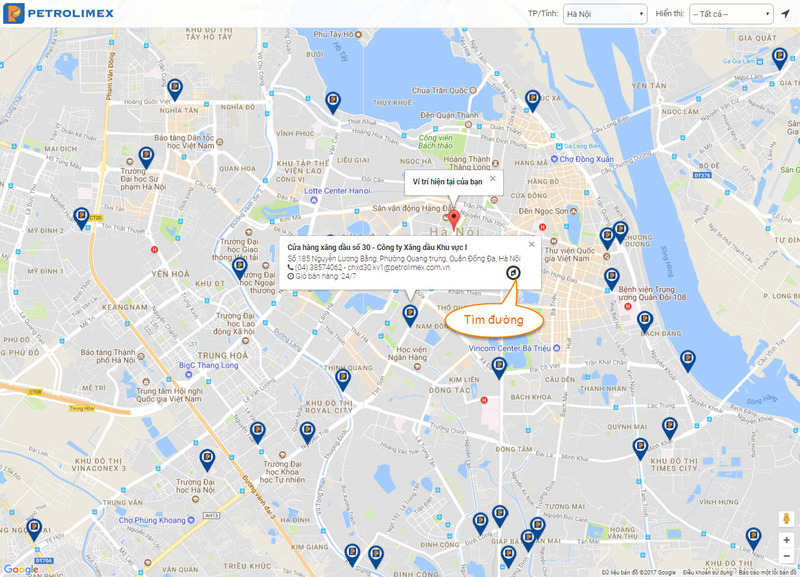 Once you select a specific petrol station, the map will provide you with other useful information such as: distance, direction, opening and closing time so you can quickly fill up your beloved vehicles from our true Petrolimex petrol stations. 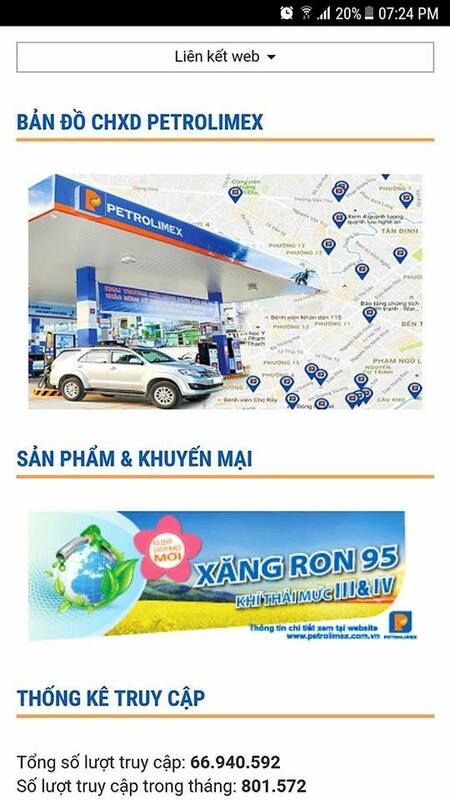 Facebook "Petrolimex – the Vietnam National Petroleum Group"
The application of Petrolimex Petrol Stations Map is another effort that the Vietnam National Petroleum Group (Petrolimex) makes to facilitate customers searching for the exact location of Petrolimex petrol stations to use the Group’s goods and services. The practice is of significance as the Petrolimex brand is being seriously infringed at an alarming rate by petrol stations of other enterprises as reported by media over the past time. 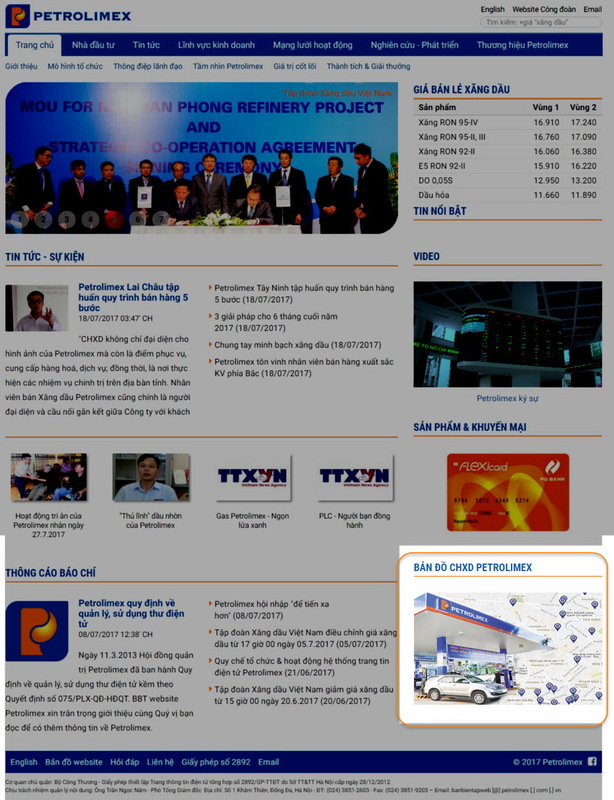 The use of Petrolimex Petrol Stations Map also demonstrates an endeavour of Petrolimex to make petroleum business transparent in line with Decree 83 and other related decrees (Decree 67, Decree 99); as well as an effective solution to protect the Group’s brand against violations and unhealthy competitions by enterprises mentioned above. 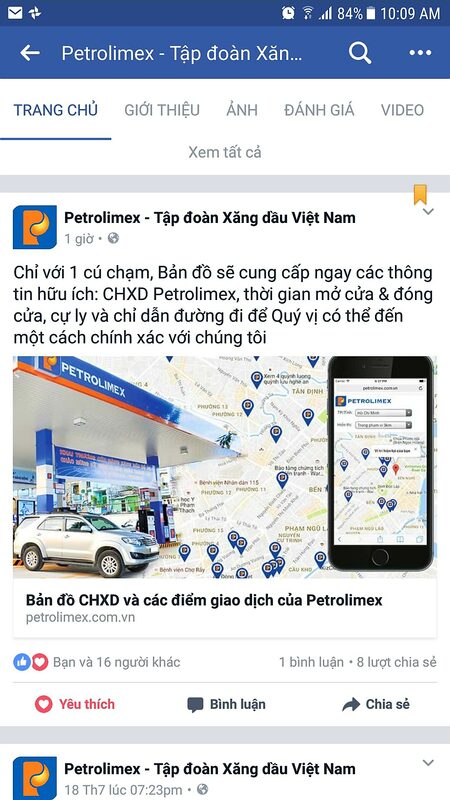 Before a nation-wide operation of Petrolimex Petrol Stations Map, Petrolimex experimented this search tool at Petrolimex Saigon and Petrolimex Da Nang – which was highly appreciated and acknowledged by customers and the public. Previously, Petrolimex had completely transformed its website system into a RWD version – a state-of-the-art interface compatible with all kinds of computer, tablet, and smart phone. In the coming time, Petrolimex will put into use a Petrolimex Petrol Stations Map in Laos – and as soon as it is completed it will be made public. Wish you safe and pleasant travels.